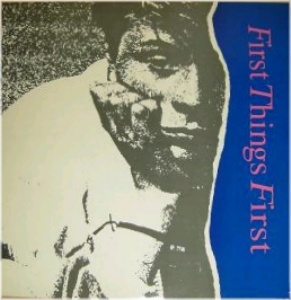 Formed by Donal Boyle and George Nelson when Perfect Crime split in 1986. Uncertain Trumpet were a more experimental dance band working with sound and effects. They recorded a 4-song session for Dave Fanning with drummer Keiran McGrillis (who may also have played guitar on one track) and Budgie Diamond on percussion. Dave McBride (from Coleraine) became the drummer sometime after. McBride also played with LaSalle, Thawn, The Diamond Geezers, Medusa, Mississipi Sheiks, and Stonefree. He'd left the band by 1988 is now a photographer. George Nelson died tragically when the van driving the band back from a gig in Belfast hit black ice and crashed off the road on 10th March 1989.